I love traveling, I have traveled to most places in Vietnam and I have 8 years of experience working in tourism. I want to help customers discover beautiful experiences, landscapes, and cultures. My desire is to create wonderful Asia holidays for all travelers. "Vietnam, Cambodia, Laos, and Thailand. We specialize in real human encounters, local culture, cuisine and photogenetic trekking/ hiking routes. We host many luxury clients as well but it doesn't stop us bringing them off the tourist track or getting under the surface iconic destinations to meet locals while still stay in comfort. We love to welcome the family with kids because we are a team of young traveling parents ourselves so we know the best we can arrange for them in the region." "When I was a high school student, my mother took me on a journey around the north of Vietnam. During this trip, I had a chance to visit many places in the north of Vietnam from the mountains to the sea. This was a wonderful trip for me, and it inspired me to want to visit other destinations in Vietnam. This trip also inspired me to apply to study tourism at university. 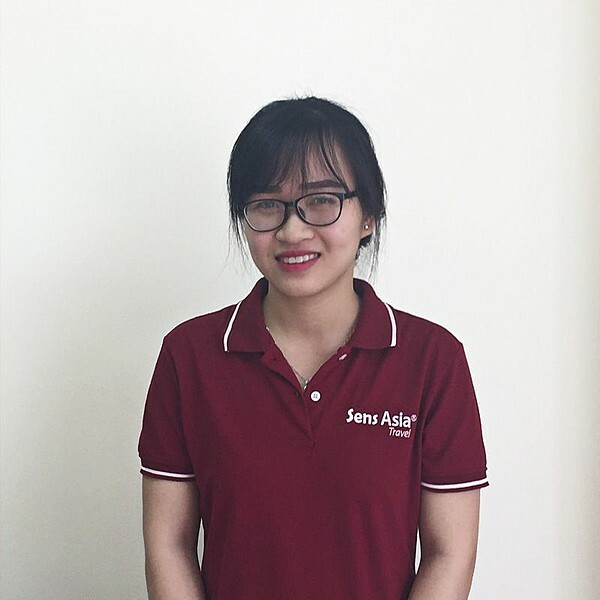 After graduating from university in 2010, I started my job as a journey planner to help travelers worldwide learn more about Vietnam's beauty." "I visited Ha Giang with a friend and we decided overnight at a homestay instead of a hotel in Ha Giang town. They provided a full experience with a lot of love and hospitality and of course incredible food. They also offered fun activities like trekking and a motorbike trip into Dong Van. After this experience I wanted to keep traveling as a local, I think you get to learn and experience things you would never learn if staying in a hotel." Thank you so much for your nice feedback about your trip in Cambodia. We are very happy to learn that you are very satisfied and hope you had a memorable trip with us. We look forward to serving you on your next trip in South East Asia. Thank you so much for your nice feedback about recent trip to Cambodia. We are very glad to know that you are all round satisfied with our services. We hope to welcome you on your next trip to Asia soon.